The term "fanatic" is often used to describe someone with an extreme point of view. While the shorter and benign form of this word, "fan," is commonly used to refer to sports enthusiasts, the word "fanatic" is often used in a derogatory manner to describe people who hold extreme religious views. However, while a person may appear to be a terrorist in the eyes of his enemy, they may also be heralded as a freedom fighter in the eyes of their supporters (Marimaa, 2011). Social scientists have long struggled with explaining why people stick to one ideology and are unable to tolerate critics of their ideas (Castels, 2010). Though conflicts are commonplace when people hold opposing views, social science research has shown that people with opposing viewpoints can put aside their differences to pursue a shared goal. I witnessed this firsthand only a few years ago. Gezi Park, is a popular park for socializing that is located in one of the busiest districts of Istanbul, Turkey. In 2013, when municipal authorities attempted to redevelop the space into a shopping mall, citizens protested. The protest began peacefully; people would gather in the park to read or simply sit in silent protest. However, the government responded by sending the police to disperse the posters with force (Celik & Andic, 2013).One of the most interesting things about the Gezi Park protest was seeing that people from cultural groups come together as one to protest against the government action. Whether conservative or liberal, religious or atheist, or nationalist citizens, people from a range of backgrounds unified to protest the government's plan for the park. The power of superordinate goals to bring people together is reminiscent of the classic Robber's Cave experiment by Sherif. In the first part of the study, Sherif created an intense rivalry between two groups (the "Rattlers" and the "Eagles") of boys at a summer camp by having them compete in a variety of games. In the second part of the experiment, the researchers created a game which required the cooperative effort of both groups to succeed. Given their history of competing, the Rattlers and Eagles were reluctant to cooperate. However, they eventually learned that being opponents did not lead them to a solution (Sherif, 1958). 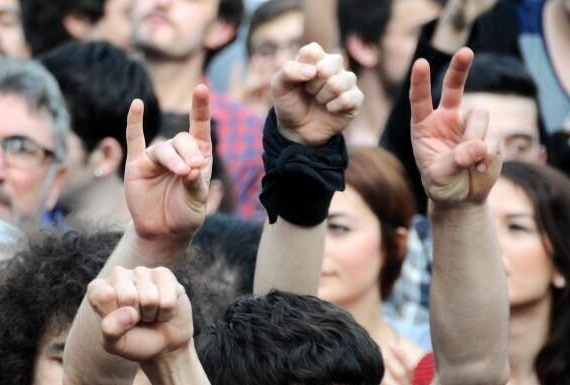 Many of the cultural and religious groups involved in the Gezi Park protests, had long histories of hostility toward one another. However, when faced with the prospect of losing Gezi Park, they were able to work together and leverage their "cold anger" (see Langhout, 2015) at municipal authorities for social action. Gezi Park remains a popular respite in downtown Istanbul. Castells, M. (2010). The Power of Identity (2nd ed.). West Sussex: Wiley-Blackwell Publication. Celik, M., Andic, S. (2013).Prof. Dr. Ali Donmez ile Sosyal Psikoloji Uzerine… Nesne Dergisi, 1(1): 70-73. Langhout, R. D. (2015). Consedering Community Social Psychology Competencies: A Love Letter To Budding Scholar-Activists Who Wonder if They Have What It Takes. American Journal of Community Psychology, (55), 269-273. Marimaa, K. (2011). The Many Faces of Fanaticsm. ENDC Proceeding, (14), 29-32. Sherif, M. (1958). Superordinate goals in the reduction of intergroup conflict. The American Journal of Sociology, 63(4), 349-356.